You'll explore and learn at Queensland Museum & Sciencentre and Gallery of Modern Art. Take a break from the city and head to Lone Pine Koala Sanctuary and Moffat Beach. There's still lots to do: stroll around South Bank Parklands, take in the spiritual surroundings of Nepalese Pagoda, stroll through Dicky Beach, and explore the world behind art at Queensland Art Gallery. 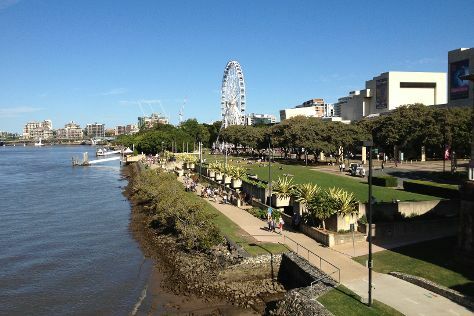 To find out how to plan a trip to Brisbane, use our trip itinerary maker. Winnipeg, Canada to Brisbane is an approximately 21.5-hour flight. The time zone difference moving from Central Standard Time (CST) to Australian Eastern Standard Time (Queensland) (AEST) is 16 hours. Prepare for warmer weather when traveling from Winnipeg in April: high temperatures in Brisbane hover around 30°C and lows are around 19°C. Wrap up your sightseeing on the 20th (Sat) early enough to drive to Noosa. Your cultural itinerary includes sights like Mapleton Observatory and Hastings Street. 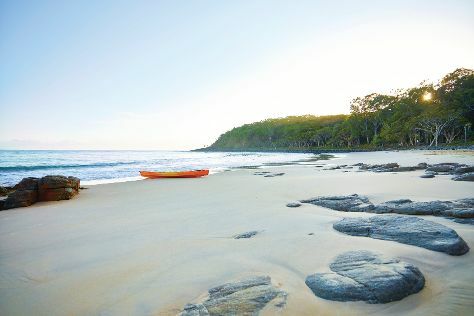 Escape the urban bustle at Noosa National Park and Scuba & Snorkeling. Go for a jaunt from Noosa to Caloundra to see Queensland Air Museum about 58 minutes away. There's still lots to do: kick back and relax at Noosa Main Beach. For other places to visit, ratings, maps, and more tourist information, read our Noosa tour itinerary maker . Traveling by car from Brisbane to Noosa takes 2 hours. Alternatively, you can take a train; or take a bus. Finish your sightseeing early on the 23rd (Tue) so you can drive to Gold Coast. On the 24th (Wed), look for all kinds of wild species at David Fleay Wildlife Park, then stroll through Surfers Paradise Beach, and then examine the collection at Ripley's Believe It Or Not! Surfers Paradise. To see photos, more things to do, ratings, and more tourist information, you can read our Gold Coast trip planner . You can drive from Noosa to Gold Coast in 3 hours. Other options are to take a bus; or take a train. 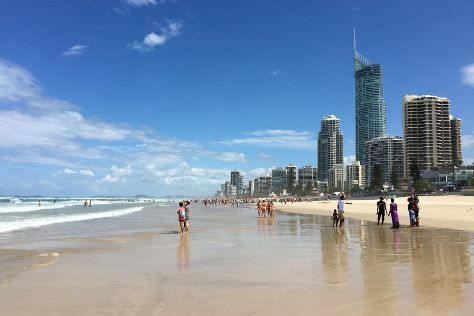 In April, daily temperatures in Gold Coast can reach 30°C, while at night they dip to 19°C. Finish your sightseeing early on the 24th (Wed) to allow enough time to travel to Melbourne. 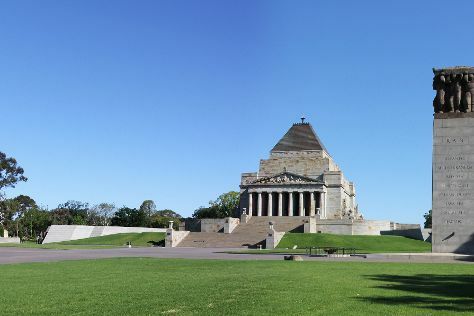 Shrine of Remembrance and Melbourne Museum will appeal to museum buffs. Take a break from the city and head to Melbourne Zoo and Nature & Wildlife Tours. The adventure continues: tour the pleasant surroundings at St. Kilda Beach, admire the landmark architecture of Royal Exhibition Building, take in panoramic vistas at Eureka Skydeck 88, and enjoy the sand and surf at Half Moon Bay. To find reviews, where to stay, and more tourist information, use the Melbourne day trip planning app . Traveling by flight from Gold Coast to Melbourne takes 4 hours. Alternatively, you can do a combination of train and flight; or drive. Traveling from Gold Coast in April, things will get little chillier in Melbourne: highs are around 23°C and lows about 11°C. Wrap up your sightseeing on the 27th (Sat) to allow time to travel to Sydney. Australian National Maritime Museum and MOP Art Gallery will appeal to museum buffs. 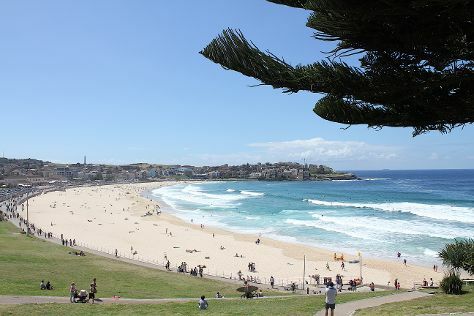 Visiting Bondi Beach and Canyoning & Rappelling Tours will get you outdoors. Step out of Sydney to go to Katoomba and see Wentworth Falls, which is approximately 1h 30 min away. There's still lots to do: take a stroll through The Rocks, take in nature's colorful creations at Royal Botanic Garden Sydney, see a show at Sydney Opera House, and kick back and relax at Manly Beach. To find where to stay, other places to visit, reviews, and tourist information, go to the Sydney route maker website . Traveling by flight from Melbourne to Sydney takes 3.5 hours. Alternatively, you can do a combination of shuttle and flight; or drive. Traveling from Melbourne in April, expect a bit warmer with lows of 17°C in Sydney. Wrap up your sightseeing on the 2nd (Thu) to allow time to travel back home.